What began as a virtual scrapbook experience has evolved into a one stop shop for all tech-savvy shoppers. Pinterest is sweeping out the middle man and letting users browse and purchase items straight from its mobile site with the new “Buyable Pins” option, rolling out to users as we speak. With this upgrade, Pinterest has the ability to launch into the number one spot for e-commerce. As of now, they are right behind Facebook in terms of online sales generated from social media. According to Shopify, Pinterest brings in an average sale of $50, which is higher than any other social media platform. 93 percent of users plan out their purchases by using Pinterest, and orders on Pinterest from mobile devices have increased by 140 percent in the past two years. Continue reading to find out how Pinterest’s Buy It Now button can help Garden businesses boom. What is the Buy It Now button? Pinterest’s “Buy It Now” button looks and functions like the “Pin It” button, except it allows users to purchase the product showcased on the pin. If a pin on the site is linked with Buy It Now capabilities, then the new blue button will automatically appear right next to the red Pin It button. Pinterest estimates that the site will include about 30 million Buy It Now pins to discover once the button is launched! The Buy It Now search feature is simple and filters items based on prices and color. Once users find the desired product, all they need to do is hover over the pin and the button appears. Instead of redirecting users to a specific store’s website, the button takes users to a shopable pin page where they can look at different color options and place an order. Shoppers have the option to pay via credit card or Apple Pay. Who gets Buyable Pin access? Right now, just big name department stores like Macys, Neiman Marcus, Nordstrom and Michaels are allowed to sell their products on Pinterest. The next tier will be Shopify and Demandware. This includes thousands of retailer stores, including Gardener's Supply Company. Independent companies have the chance to be featured on Pinterest by signing up for the waitlist. Once access is granted, the company’s website will install a Pinterest channel and all of the products listed online will automatically show up on Pinterest’s searchable site. Buyable pins present a huge opportunity for garden brands to expand their reach and customer base. Those that do not offer their products in large retailers should sign up for the waitlist as soon as possible. So sit back, relax and make sure you have the most updated version on Pinterest installed. They will be sending an email when access is verified. While you’re waiting, see how you can make your business visable on Pinterest. 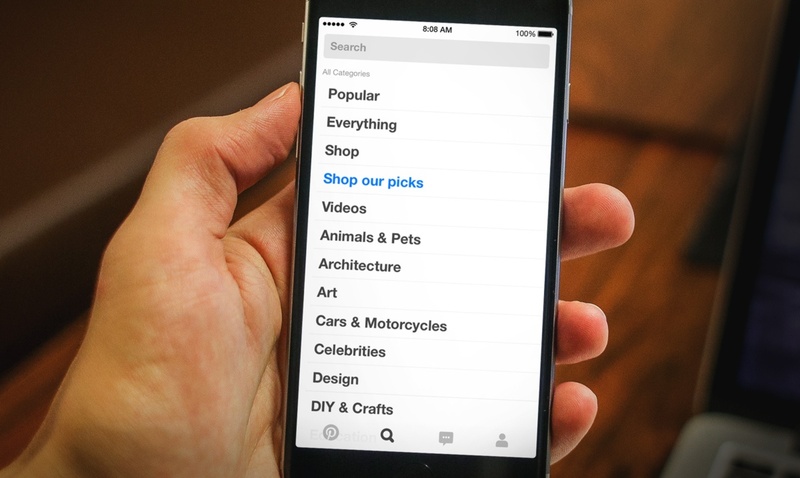 Do Research- Figure out which pins are most pinned and what categories people search the most. The number one category for the past couple years on Pinterest has been “Home.” Even if products are not home specific, see if there is a way they can relate. Upload Content- Make sure that all pins have correct information. Include the brand’s name, website URL and proper description with searchable keywords. Image Quality- For optimal repins, include quality resolution images. No one is going to pin something that is grainy or low quality. Also, pin interesting photos. Don’t just display your product on a white background; find a way to show it off being used. 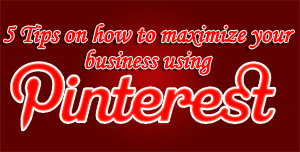 Keep your business up to date on Pinterest by taking a look at our e-Book.